Ann Bancroft, right, winner of the 2017 Best Unpublished Novel Award for “The Oakland Mets,” with Tiffany Vakilian, president of the San Diego Book Awards. 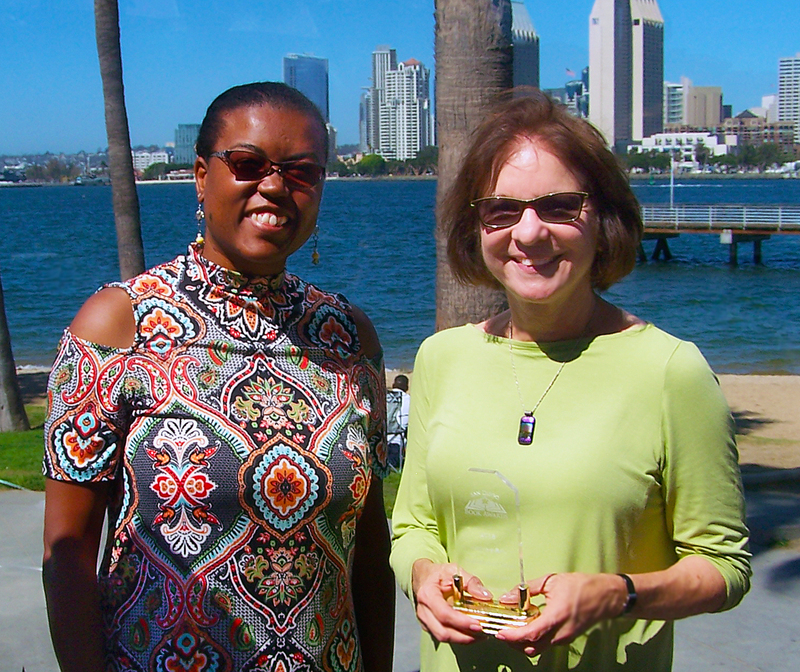 After a hectic summer traveling, Ann Bancroft finally returned home to Coronado and received her San Diego Book Awards trophy. Ann’s novel, “The Oakland Mets,” was the winner in the 2017 Best Unpublished Novel category. San Diego Book Awards president Tiffany Valikian, and vice-president David Grant Urban, were on-hand to present Ann with her trophy.